When I first heard about this lipstick's existence, I wasn't sold. 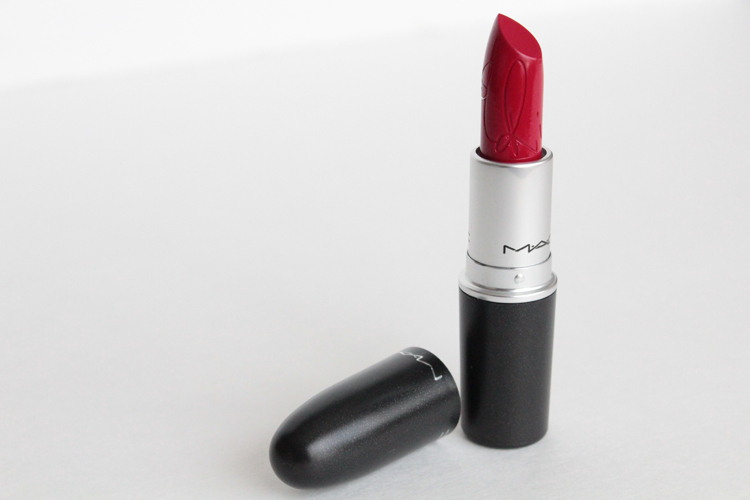 I love a good red but nothing about this really wow-ed me (still doesn't, really), but I partook in the madness of the first RiRi Loves MAC Collection release anyway. I can't remember the last time I participated in such a highly anticipated launch. There was such a long queue. I even thought my browser froze because it took so long. At one point, I had the same page open on my laptop and iPhone, just in case LTE loaded faster than my wifi. 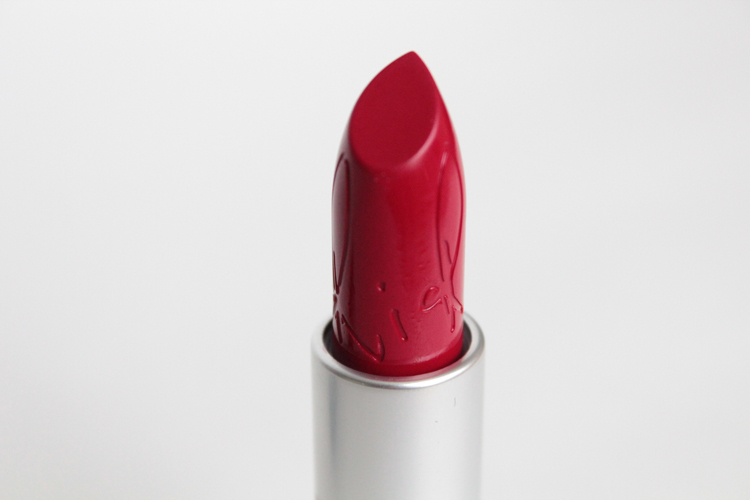 RiRi Woo is a vivid, blue-toned red with a retro matte finish. It's a little drying, but manageable. It's easy to apply as long as your lips are smooth & hydrated. Lasting power is great, minimal touch ups are necessary, and I never worry about it moving once it's on. While this lipstick isn't anything unique (e.g., MAC Ruby Woo & YSL Rouge Pur Couture #1 come to mind right away), it's still a great colour and suits a wide range of skin tones. If you missed out on this, it will re-release in June with the second installment of the collection. Special packing, in tow. Did you pick up RiRi Woo or did you pass? I heard it sold out in three hours. I don't know the average time it takes for collections to sell out, but three hours seems pretty quick. Ps, remember when I said that if I got RiRi Woo, I wouldn't need to buy Ruby Woo? Well... I still ended up picking up the latter. One, I wanted to compare the two, and two, I love a good red. Pps, I'm trying out a new comment form (Disqus). I want my blog to be open for anyone to comment, but I have been getting a lot of spam through Blogger's comment platform. Hopefully this will curb it. Gorgeous! I wish blue-toned reds look good on me. That is such a beautiful colour on you, and the engraving on there is great! looks amazing, definitely try to get my hands on riri woo!!!! 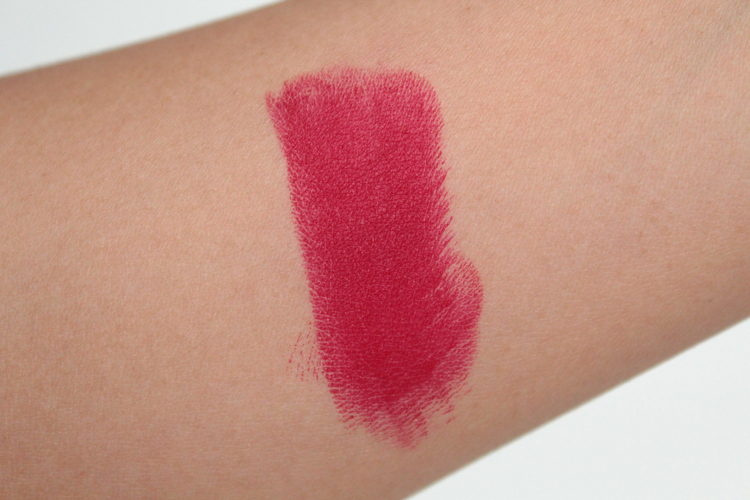 I didnt pick one up, red lips arent really my thing, but I really like the swatch on you! I passed on it. Personally I'm more inclined to be attracted to special packaging or the colour inside than the celeb hype and quite frankly it seems that when it came to this release there seemed to be more buzz about it being a Rhianna lippie than anything to do with the lippie itself. I passed on this. 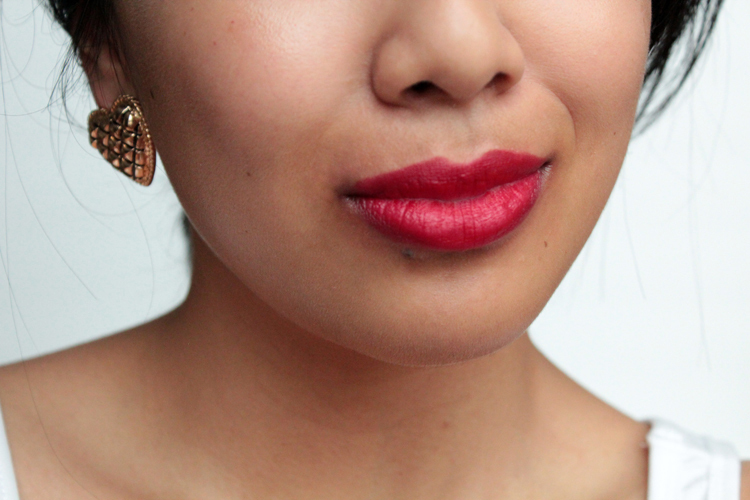 It looked too similar to Ruby Woo (which I don't own, but hey it is permanent so I can divulge whenever, right?!) This looks great on you! This is so beautiful but I didn't end up purchasing it because i already have so many reds I love! 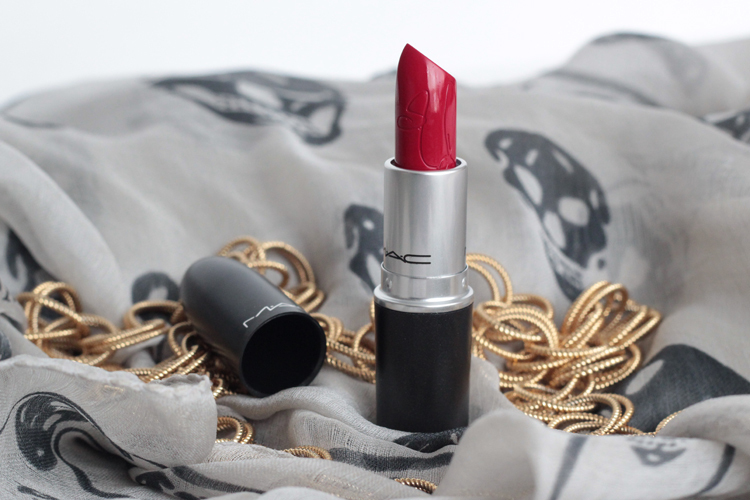 Gorgeous shade! Suits you well.